There’s no shortage of content management system (CMS) options on the market. Consistently, WordPress ranks among the most popular CMSes. While WordPress is easily one of the top choices, the likes of Drupal and Joomla provide viable alternatives. 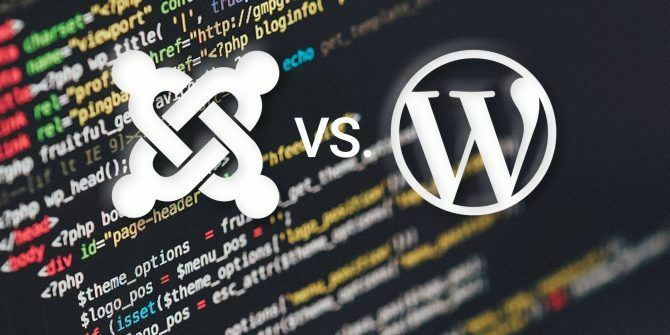 Learn more about WordPress vs. Joomla, and find the right CMS for your site! What Types of Website Can You Make? Among the most critical elements in choosing a content management system is site type. WordPress is ideal for everyone from beginners to seasoned pros. My first ever website was a free WordPress.com site, and it’s an awesome platform to begin blogging quickly. With managed hosting The Best Web Hosting Services The Best Web Hosting Services Looking for the best web hosting service for your needs? Whether it's for a small blog or a major corporate website, here are our best recommendations. Read More , I was able to spin up a blog in a matter of minutes therefore concentrating on content creation. As such, WordPress functions for basic blogging, professional websites, business use, and e-commerce. Since you can easily transfer a free WordPress.com site to a self-hosted installation, it’s highly scalable and flexible. Likewise, Joomla is versatile. While it’s capable of running a basic website, it’s more complex than WordPress and not quite as simple to set up. Therefore, it’s not recommended for beginners. Instead, Joomla works better for business purposes, e-commerce, and notably community forums and social networking. Which CMS Is Most Popular? Unfortunately, with content management systems, popularity does matter. Whereas unpopularity in school days merely meant eating your pizza Lunchables alone, a widely used CMS translates to increased community resources like plugins and forums. WordPress clocks in the highest market share at 60 percent according to W3techs, with Joomla in second at 5.8 percent. That’s a massive disparity between the two. Based on that alone, it’s worth considering WordPress over Joomla. 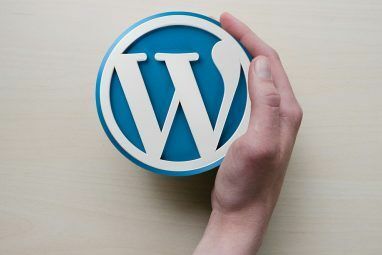 Since WordPress features a larger userbase, it therefore benefits from many more community-made resources like plugins, tutorials, and custom themes. Furthermore, Joomla falls into an odd space where it’s used by fewer and lesser-trafficked sites. Compare that to Drupal which is used by fewer, but more trafficked, sites. Then WordPress is used by a high number of websites which vary in site traffic. Though it’s the second most used CMS, Joomla lags behind both WordPress and Drupal in site use and traffic. As such, it’s less popular. While Joomla is fine for search engine optimization (SEO), WordPress dominates. By default, Joomla includes a meta description and meta keywords feature. However, the ultra-popular Yoast plugin for WordPress provides greater functionality. Yoast’s SEO plugin offers simple to understand red, yellow, and green color systems for poor, okay, and good SEO. Moreover, its readability section offers insight into readability best practices, such as using transition words and minimizing passive voice. For its search engine optimization portion, Yoast lets you input keywords and likewise gives specific feedback for improving SEO. Joomla does include SEO plugins including Easy Frontend SEO and SEO Generator, but Yoast beats these options. Both Joomla and WordPress see frequent security patches. WordPress, though sporting a beefy security team, is decidedly more popular and widely used than Joomla. As such, it’s more prone to cyber attacks. Thankfully, its massive amount of plugins means there’s a way to combat cybercrime. Nevertheless, Joomla’s small security team is offset by its lower popularity which translates to less frequent attacks. The cost of using WordPress vs. Joomla varies quite a bit. Both CMSes offer free hosting as well as paid self-hosted options. From Bluehost to Hostgator, there are many WordPress hosting providers, many offering one-click-installs. A paid option can set you back anywhere from a few dollars a month to hundreds depending on your needs. Essentially, the cost is pretty comparable. With its bevy of resources, WordPress handily trounces not only Joomla, but virtually every competing CMS. Boasting more than 40,000 plugins The Best WordPress Plugins The Best WordPress Plugins Read More and thousands of themes, WordPress features a thriving community with resources such as our ultimate WordPress guide Set Up Your Blog With WordPress: The Ultimate Guide Set Up Your Blog With WordPress: The Ultimate Guide Want to start your own blog but don't know how? Look to WordPress, the most powerful blogging platform available today. Read More . For instance, when creating my personal website, I sought a theme with a review schema. Options abounded, and I selected my favorite. With a over 1,000 themes and several thousand plugins, Joomla offers its own resources. Additionally, you’ll find resources on many sites like our beginner’s guide to Joomla The Beginners Guide To Joomla The Beginners Guide To Joomla This guide will walk you through everything from why to choose Joomla and how to install it on your webserver to how to design and customise your site to your liking. Read More . However, Joomla lags behind WordPress. There’s a reason so many websites are WordPress-based. It’s one of the most beginner-friendly CMSes. Largely, this derives from its massive market share. According to WebsiteSetup, WordPress holds a whopping 59.9 percent of all CMS market share. Joomla clocks in at second place with 6.6 percent. Since there’s self-hosted and third-party hosting in WordPress.com and WordPress.org, options range from self-installation to a WordPress that’s ready to use out-of-the-box. Similarly, Joomla may be downloaded and installed or run for free from Joomla.org. Using both, I found WordPress a bit more intuitive although that largely derives from familiarity. Despite its simple set up and configuration, Joomla is more complicated than WordPress. It’s not as complex as Drupal, though still less intuitive. While you can create a basic site with Joomla in a matter of minutes, moderate to advanced tweaks aren’t as easy. WordPress can be as easy or complicated as you make it, and thus edges ahead of Joomla. Who Uses Joomla vs. WordPress? Among the more renowned sites using Joomla, you’ll find Linux.com, Harvard University, and Nintendo Nordic. As WPBeginner reveals, heavyweights such as TechCrunch, BBC America, and The New Yorker operate on WordPress. Clearly, as a blogging platform and professional content website, WordPress wins. WordPress vs. Joomla: Which Should You Use? Overall, both Joomla and WordPress provide tons of functionality, flexibility, and resources. Joomla isn’t a poor CMS choice per se, but it’s far less used than WordPress. The same can be said of any competing content management system including Drupal. 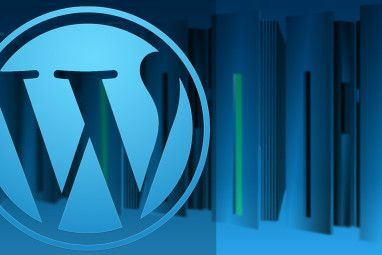 However, with its balance of intuitiveness, versatility, and popularity, WordPress is easily the top choice as a CMS. Unless you’re spinning up an e-commerce site or forum, WordPress is arguably the best CMS. Truthfully, unless you’re already well-ingrained in the Joomla ecosystem, it’s better just to stick with WordPress. Learn more about CMSes with a look at the most popular content management systems 10 Most Popular Content Management Systems Online 10 Most Popular Content Management Systems Online The days of hand-coded HTML pages, and mastering CSS, are long gone. Install a content management system (CMS) and within minutes you can have a website to share with the world. Read More ! Explore more about: Content Management System, Joomla, Wordpress. I agree. WP is better. Wow.. you know very little about these systems. You should not write about this with your limited knowledge. You are giving misinformation. Then by all means, please tell us what's wrong in the article so we can learn the correct information.